The BARSKA 12 Inch Cash Box and 6 Compartment Tray with Key Lock is manufactured by the Barska Company out of Southern California. Barska has been implementing both groundbreaking technology as well as quality products since 1994. Since their debut they have built strong brand recognition in the sporting industry. The company understands the need to gain the trust of their customers in order for them to be successful and work continuously to maintain the highest quality products available on the market. The leading name in biometric technology has designed a new line of cash boxes that are sure to deliver and provide you with peace of mind. Weighing in at only 4.2 pounds, it is very easily moved. With its small size it can be concealed in a desk drawer at the office or underneath the seat of your vehicle. You can easily transport it from one destination to another. Using the convenient and useful fold down carrying handle. This box is designed with portability in mind. We strongly recommend hiding this cash box. Simply because of how easy it can be picked up and left with. What can this box hold? This high quality, 12 Inch Cash Box is ideal for storing coins and cash using its 6 compartment, removable tray. Ideally it can be used for both homes and businesses and is perfect for garage sales, fundraisers and more. The durable, plastic change tray has the perfect scooped design for easy removal of change, small office supplies, or whatever you chose to store inside the compartments. This cash box also features continuous piano hinges which allow the lid to remain open for as long as you need. Accessing the contents is hassle-free. Because of the hinges, viewing the contents of the box is also hassle-free. The cash tray lifts out of the box, allowing for easy money counting, or removable of larger items. The interior measures 10.75 inches wide by 6.5 inches deep by 4 inches high. The spacious interior is perfect for storing pens, pencils, receipts, extra cash, checks and other valuables. The BARSKA 12 Inch Cash Box and 6 Compartment Tray with Key Lock is the perfect security solution for any home or business. 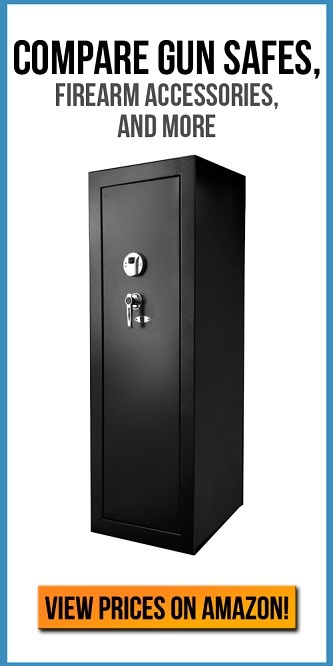 It is ideal for conducting transaction while providing safe and secure storage for your money and valuables. With its quality lock and rugged construction you can be sure that all the contents will remain safe from any unauthorized access. It is compact and light weight with all the portability you are looking for. With a name brand like BARSKA you can be sure you’re making a good investment with the BARSKA 12 Inch Cash Box.